It is a case of the lesser devil as the All Blacks do away with controversial Poite who infamously changed his decision late in the game at Eden Park for a 15-15 draw in the third Test.Poite is restricted to flag waving other games but gets no chance in the South Africa-Argentina game. 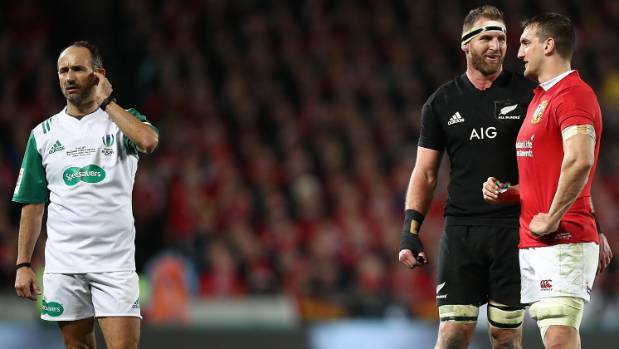 The All Blacks would have another controversial figure Wayne Barnes when they play Australia in Dunedin in August. The Englishman would also ref the game at Suncorp in Brisbane in October. Barnes would be remembered for missing a forward pass at the 2007 World Cup where New Zealand lost to the France Rugby team. At the Championship, officials from Australia, Wales and South Africa will ref the rest of the games. Hopefully, there would be little or no dispute.